(Photo courtesy of North Ogden City) Brent Chugg has been appointed mayor of North Ogden. He replaces Maj. Brent Taylor, mayor and Utah National Guardsman, who was killed in Afghanistan in November 2018. More than two months after North Ogden Mayor and Utah National Guard Maj. Brent Taylor was killed in Afghanistan, the City Council inaugurated and swore in his replacement. After interviewing five candidates in an open meeting, the council on Tuesday chose Brent Chugg, who had been serving as interim mayor during what was expected to be Taylor’s one-year deployment and who will now carry on in that capacity longer than he expected. Chugg said he’d never entered the political arena before Taylor asked him to fill in. But after the former mayor’s death, Chugg said city employees and his family had urged him to apply to stay on through the end of 2019, when the seat will be up for election for the last two years of Taylor’s term. 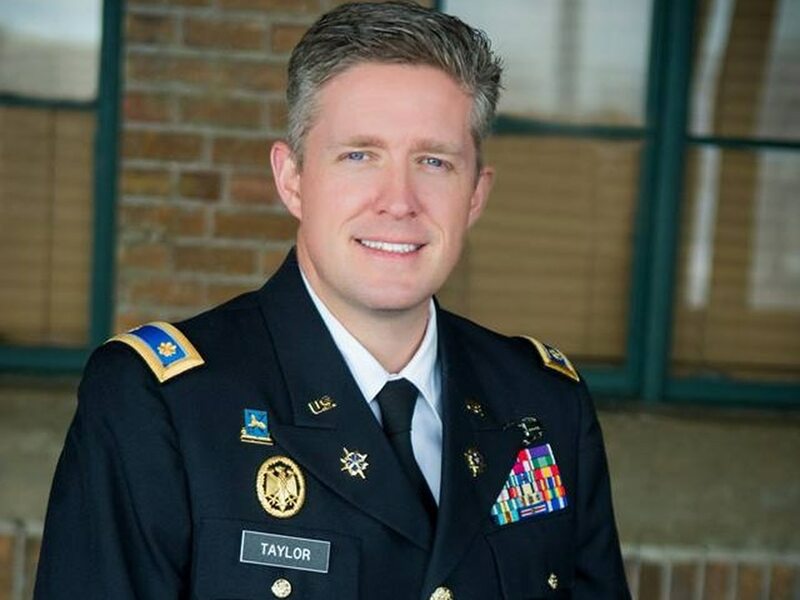 (Photo courtesy of North Ogden) North Ogden Mayor Brent Taylor, a major in the Utah National Guard, announced Monday, Jan. 8, 2018, that he will temporarily leave behind his executive duties with the city to deploy to Afghanistan. 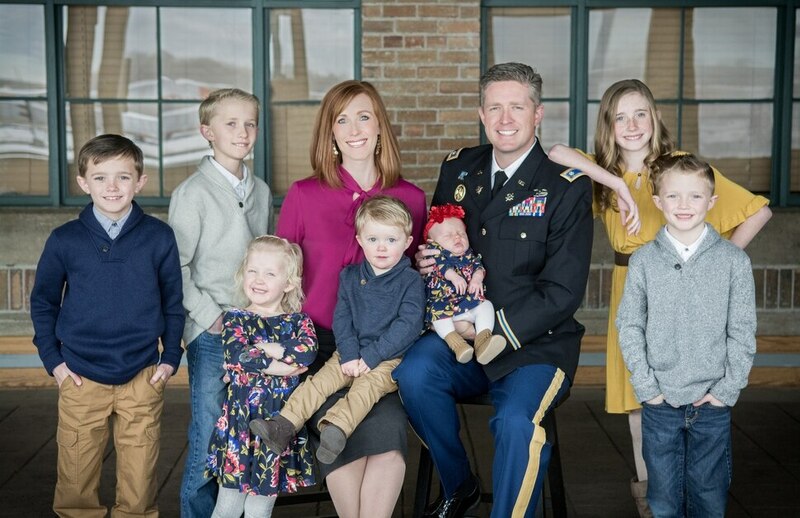 (courtesy photo) Maj. Brent Taylor, who was also the mayor of North Ogden, with his family. He's next to his wife Jennie and his seven children. Their names are Megan (13), Lincoln (11), Alex (9), Jacob (7), Ellie (5), Jonathan (2), and Caroline (11 months). Taylor, 39, died in an insider attack in Kabul, Afghanistan in November 2018. (Danny Chan La | Tribune file photo) In this 2006 file photo, the Taylor household in South Ogden bustles after dinner with cookware talk, entertaining babies and eating dessert. Eighteen-year-old Devin, in the middle of it all, would be sworn into the Utah National Guard that Monday morning. He joins military brothers Bryan (25 black shirt), Brent (26 left) and, not pictured, Matt. (Paul Fraughton | Tribune file photo) In this 2008 file photo, 1st Lt. Brent Taylor, left, administers the oath of enlistment while in Iraq to his younger brother Travis Taylor, by way of a satellite feed. (Paul Fraughton | Tribune file photo) In this 2008 file photo, Travis Taylor, fourth from left, takes the oath of enlistment into the National Guard. The oath was administered by his brother, 1st Lt. Brent Taylor, who was deployed in Iraq at the time. (Paul Fraughton | Tribune file photo) In this 2008 file photo, 1st Lt. Brent Taylor, left, administers the oath of enlistment while in Iraq to his younger brother Travis Taylor, right. (Scott Sommerdorf | Tribune file photo) In this 2008 file photo, photos from Brent and Jennie Taylor's wedding day are displayed in the front room. (Scott Sommerdorf | Tribune file photo) In this 2008 file photo, Jennie Taylor dresses her children, Megan, left, and Lincoln, right, for a Halloween party in the front room, as a cardboard cutout of her husband Brent dominates the room. 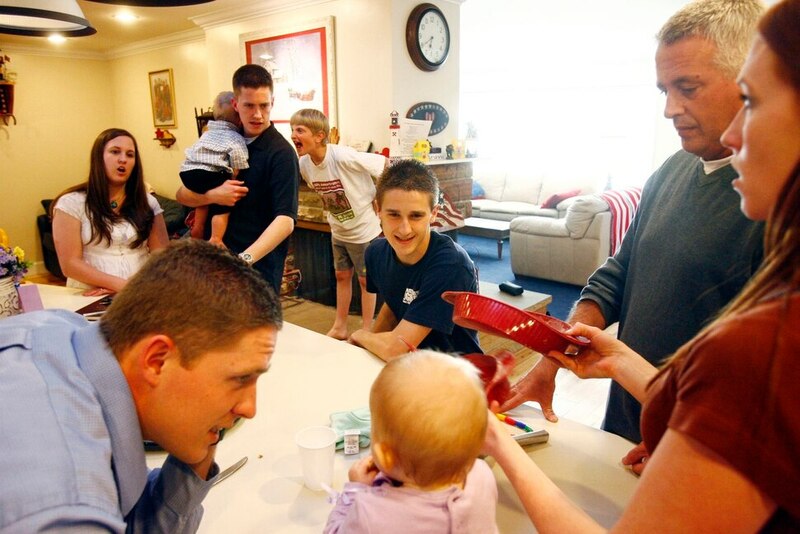 Taylor has been the perpetually smiling face of one Utah National Guard unit's family readiness unit, even when her husband called to tell her he was extending his stay in Iraq. (Al Hartmann | Tribune file photo) In this 2008 file photo, Lt. Brent Taylor, with the Utah 116th National Guard unit, plays with his daughter Megan, 2, at a Valentine's Day special breakfast hosted by Salt Lake City Mayor Ralph Becker for Wives of Utah National Guard members deployed to Iraq. (Jim Urquhart | Tribune file photo) Specialist Hyrum Chamberlain, of Pleasant Grove, left, is greeted by Lt. Brent Taylor, of the Utah National Guard 116th security force, after returning from Iraq in 2008. (Leah Hogsten | The Salt Lake Tribune) North Ogden Mayor Brent Taylor, UTA's liaison for Weber and Box Elder Co., Brent Taylor, listens during a meeting in 2017. (Francisco Kjolseth | The Salt Lake Tribune) In this Feb. 2018 file photo, Sen. Jim Dabakis, D-Salt Lake, gets on the floor for a picture with Jennie Taylor and her seven kids before bringing them onto the Senate floor to honor them and her husband, Brent Taylor, the mayor of North Ogden, who was serving in Afghanistan. (Facebook) The Spanish army contingent organized a volleyball tournament on the post, and our team took second place! We had a great time! This photo was posted in a public Facebook group on Oct. 17, 2018, by North Ogden Mayor and National Guardsman Brent Taylor, who has been killed in Afghanistan. (Facebook) Sniper rifle training time with some Spanish Army friends. I LOVE the Army! This photo was posted in a public Facebook group on Oct. 17, 2018, by North Ogden Mayor and National Guardsman Brent Taylor, who has been killed in Afghanistan. (Facebook) Ruck march up some tough terrain. Ruck marches always seem to go in one direction: UP This photo was posted in a public Facebook group on Oct. 17, 2018, by North Ogden Mayor and National Guardsman Brent Taylor, who has been killed in Afghanistan. (Facebook) Headed back to home base This photo was posted in a public Facebook group on Oct. 17, 2018, by North Ogden Mayor and National Guardsman Brent Taylor, who has been killed in Afghanistan. (Facebook) This photo was posted in a public Facebook group on Oct. 17, 2018, by North Ogden Mayor and National Guardsman Brent Taylor, who has been killed in Afghanistan. Combat bicycle: my new favorite method for getting around! Taylor wrote. (Facebook) My 'after mountain climbing' breakfast. Grapefruit, oatmeal, omelette, yogurts, boxed soymilk (we don't have the real stuff), juice, chili, and Cheerios. Gotta make those calories back up! P.S., my friends threw in all the salt and pepper packets to make fun of me for taking a picture of breakfast in the first place! This photo was posted in a public Facebook group on Oct. 17, 2018, by North Ogden Mayor and National Guardsman Brent Taylor, who has been killed in Afghanistan. (Facebook) Blackhawk flight over Afghanistan. This photo was posted in a public Facebook group on Oct. 17, 2018, by North Ogden Mayor and National Guardsman Brent Taylor, who has been killed in Afghanistan. At the time of his death, Taylor, who was on his second tour of duty in Afghanistan and fourth deployment of his 10-year military career, was part of an operation to train Afghan troops. An Afghan soldier opened fire Nov. 3 while Taylor was on foot patrol, killing him and injuring another soldier, according to the Utah National Guard. Taylor left behind his wife, Jennie, and seven children. In the face of those unexpected events, North Ogden resident Mike St. James told the City Council in a public comment before the interviews that he would like to see Chugg carry on in the position. “I think he’s been a steady hand at the helm,” he said, noting that Chugg has some of the same qualities that had led him to support Taylor. During his interview, Chugg also drew parallels between himself and Taylor and indicated his commitment to carry forward the former mayor’s policies. After he was unanimously chosen as mayor and sworn in, Chugg took his seat once again at the dais with the rest of the council members.